Before last evening’s Handel and Haydn Society’s concert I was skeptical; Elijah held no significance with me—I didn’t like it, quite frankly. When I studied the piece I could not fathom the historical affection for it, though I knew that as a budding conductor I should love it. Thursday afternoon’s dress-rehearsal of Elijah had seemed lackluster; the hall felt far too big for the ensemble, the chorus was unbalanced with hefty lower voices, a beefy alto section, and a rather timid and thin soprano section (nothing against the chorus for I consider them one of the finest in the region), and instruments far overpowered the chorus. My only hope came from the solo singers, all of whom seemed to show great prowess and capacity. Yet, as soon as the oratorio began, I began to understand why others find such significance, and at the conclusion I turned to my friend and stated with conviction, “this is substantial and magnificent, given by an ensemble of immense talent with deep interpretation, and could not have been performed in any other hall than Symphony Hall!” Such a complete turnaround few concertgoers can experience. Now I hope someday to dive deep into the score and conduct this fantastic music. 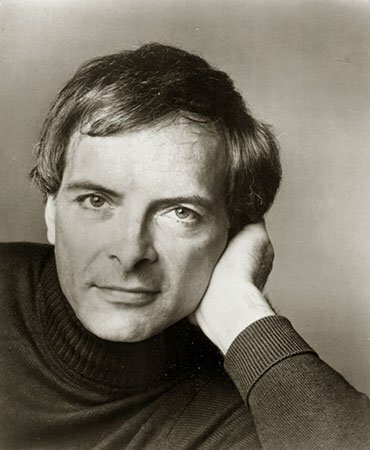 During the rehearsal I had noticed only the faintest glimmerings of the energy and interpretation former H+H Music Director Grant Llewellyn brought to the performance honoring the late Christopher Hogwood (H+H 1986– 2001); he led us on a narrative journey which allowed the music to blossom. His gestures were inviting and smooth, telling and invested. It seemed as though the orchestra was pleased to be under his direction once again, showing some level of comfort in their communication. The tuning to A=440 for this concert gave a forward brightness to the period-style instruments; it was very nice to hear, the warmth of their gut strings with that slight edge. The winds were on their A-game, with the brass shining through with athletic navigation of tricky passages. Only on occasion did pitch run amok when the strings and individual wind instruments would not quite agree on a pitch center or the balance of a sonority. Elijah was portrayed by Andrew Foster-Williams, a young and accomplished Englishman who made his H+H debut this weekend. His tone had a substantial foundation with a tangible presence which reminded me of the Flatiron building in New York; its appearance seems graspable but it deceives us when we turn a corner and suddenly its immensity is apparent. He was full of surprises and dramatic prowess. Tenor Lawrence Wiliford, filling in for the scheduled tenor Andrew Kennedy, graced the hall with effortless, agile, bright, orange-yellow tone. Sarah Coburn’s celestial tone, of sapphire hue, brought one to a cool and sensitive place, the powerful grace found only by a figure skater when commanding her cut across the sheer glossy ice. Her voice possessed the ability to elevate through the hall. Christianne Stotijn’s voice was substantial and rich in its variety of color. Though this role seemed to not be the best fit, especially in terms of ensemble blend, her deep mahogany sound cut deep with a solid iron strength, a voice that seemed to come from another time, spanning generations, timeless in its maturity. Paul Max Tipton, local Boston bass-baritone and H+H member made a positive impression during some of the solo quartet, giving a full-bodied and grounded sound. The H+H trio of women—Elissa Alvarez, Sonja DuToit Tengblad, and Emily Marvosh—gave a delightful taste of the home team; they performed the several smaller female voice roles throughout the work, including the gorgeous angel trio in part two, a folk-style part song steeped in visceral beauty. Gabriel Haddad’s boy treble floated down from above the stage, lacing the hall with sweetness. Elijah unfolds in small vignettes. These short scenes are interspersed with deliberating psalm texts, somewhat reminiscent of the turba choruses of Bach’s Saint Matthew Passion, giving greater symbolic depth to the narrative. The entire ensemble executed very carefully, showing the narrative while drawing us into the drama. Some memorable moments: In Part I Elijah challenges the Priests of Baal (represented by the full chorus) to call to their god and prove his existence and power. Repeatedly the priests fail to receive an answer. Mendelssohn’s music portrays the drama, and in Baalophile’s final attempt, “Hear and Answer!” he inserts grand pauses to heighten Baal’s silence, but not without letting us wonder if there an answer might yet come. His music is not written in a “start-stop” format, but flows between aria, recitative, and chorus with great ease and facility. Part one’s closing chorus impressed with great energy. In part two, the chorus “He that shall endure to the end shall be saved” offered floating musical arabesques among the musicians, aware of each shape and direction. “Behold, God the Lord Passed By!” ponders where God resides in our mortal world: In the mountains and rocks? No. In an earthquake? No. In fire? No. It is found in an unlikely place, “after the fire there came a still small voice; and in that still voice, onward came the Lord.” Mendelssohn executes it with style and textural genius. This moment is visceral and enthralling. Immediately after the “small still voice” chorus comes the home stretch, pushing through in contemplative nature, with a similar feeling to a “morale chorus” found in an Italian opera of the 18th century. The closing chorus “And then shall your light break forth” begins with triumph and breaks into a closing fugue, flung into motion by a low and brooding pedal tone in the organ—the organ texture, prevalent throughout, should not be underestimated in its orchestrational power. Llewellyn and the entire ensemble pushed with full bravado to the closing sonority, growing and flying to the edge of the musical cliff, flinging its resonance into the space with a great sweep! The dangerously impressive performance transformed me. There is a repeat on Sunday afternoon, so join H+H and celebrate their 200th birthday with Mendelssohn’s great Elijah!